Getting in on the VR action doesn’t have to break the bank. In fact, those nice chaps over at Google have developed budget friendly headsets, ideal for the most froogle of tech fans. Google’s Cardboard is one of the cheapest VR headsets available and will cost you less than £12. Although rudimentary in design, the Cardboard has resulted in VR becoming much more accessible to the mass consumer. There are two main players in the mid-range category. Firstly, the Google Daydream View will set you back £69.00. Coming in a range of colours and a designed to fit comfortably on a persons head, this sleek headset is a good choice for those who want a step up from the Cardboard, but aren’t keen to splash too much cash. It is, however, worth noting that this headset is only compatible with the following smartphones: Google Pixel, Samsung Galaxy S8 and S8+, Motorola Moto Z, Huawei Mate 9 Pro and finally, the ZTE Axon 7. Second up to the virtual plate, is the Samsung Gear VR. Only compatible with Samsung phones and Android, this headset will cost you £99.00 (excluding a controller). The Gear VR offers a more immersive experience than its cheaper competitors. Featuring a mounted dial, the optics can easily be adjusted to each individual’s eyesight. In comparison the Daydream comes at a fixed position, making it difficult for the viewer to adjust the clarity of the image. Ready to splash the cash? Then the “big three” headsets might take your fancy. In our opinion, the best and most popular high-end options are, Sony’s PlayStation VR (PS-VR), the Oculus Rift and HTC’s Vive. Sony’s PlayStation VR, represents the cheapest of the “big three” on the market right now and will cost you £349.99. You will need a PS4 to support this hardware and if you truly want an immerse PS-VR experience, then you will need to invest in a PlayStation camera costing £44.99 and a pair of PlayStation Move controllers, costing roughly £69.00 a pair. Next up is the Oculus Rift costing £499.00. The Rift comes with an Xbox One controller and remote, which will allow you to play most of the games. However, many techies believe that you should also splurge on Oculus Touch controllers, as they supposedly add another dimension to the Rift experience. These additional controllers will set you back £189.00, add this on to the £499.00 already spent on the headset and things soon start to add up. The last but certainly not the least headset in our cost round up is the HTC Vive. Weighing in at an all mighty £759 for just the headset and controllers alone, the Vive is for those that mean virtual business. If you have the budget (and space) for this piece of hardware, then you can experience the best the market has to offer (for now) in room scale VR. It is worth noting, that when choosing which headset is best for you, the cost isn’t the only factor to consider. 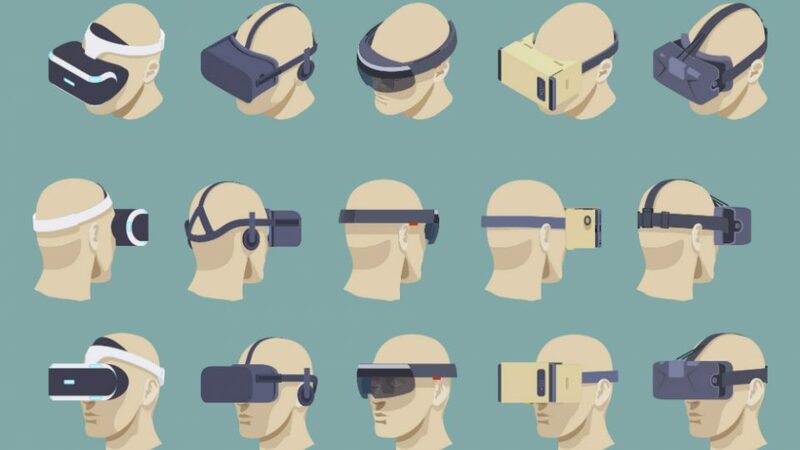 Every Virtual Reality experience is different and therefore certain headsets may be better suited to certain needs. It could be that your VR experience requires a top of the range headset, whereas others will be just as immersive through a Google Cardboard. If you have any queries over which headset will best suit your project, then please don’t hesitate to get in touch and our VR wizkids will be more than happy to help! Daniel is a copywriter, scriptwriter and creative at Pebble Studios. Away from the office, he has written a 5-star play and is one-half of a self-published magazine.